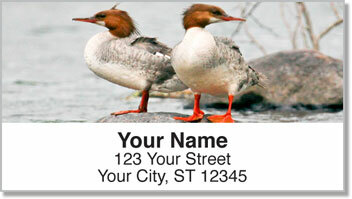 Downy ducks are the subject of this collection, now available as personalized Ducks Address Labels and matching Ducks Personal Checks. Our photographer captured these stunning images of mallards, red-breasted mergansers and a bufflehead duck in the wetlands of Wisconsin. 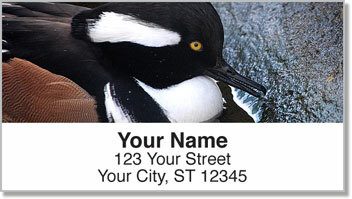 Besides appealing to the nature lover in you, these return address labels will help you make a quick job of readying your envelopes and packages for the mail. 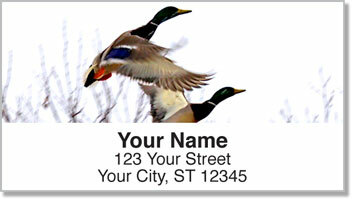 They're also a perfect tool for identifying books, DVDs or other items from your lending library. 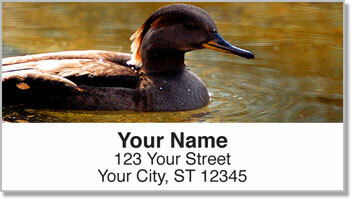 Don't wait another day-order Ducks Address Labels and matching personal checks right away!